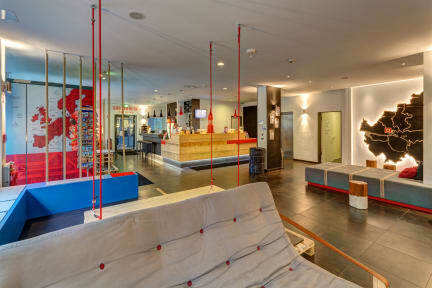 Good things: The hostel is nicely clean, the location is really good, you can go anywhere by metro or even walk and it's on the same line as the airport, which is cool. The staff is okay, Bad things: but they were a bit too strict with the checkout. On my last day there, a girl in my room had her locker broken in and someone stole her laptop, so I wouldn't leave valuable things in the room.